 Apollo International School offers admissions to Preschool, Std. I to IX, XI subject to the availability of seats and eligibility. Two passport size photographs and two stamp size photographs of the student. Admission to Apollo International School is through an interaction. The admission test will be conducted at school campus and parents will be intimated of the date and time. In the School/hostel only vegetarian food will be served.The school will not be liable for any expenditure incurred on account of illness/injuries sustained by the child during his or her stay at the school. n the form of cash/D.D drawn in favour Apollo International School payable at Dehradun. No out station cheques will be accepted.